"There are a few Scottish distilleries that still malt their own barley but Springbank is the only distillery which malts 100% of its own barley, using the traditional floor maltings. The whole production process: malting, milling, mashing, fermentation, distillation, maturation and bottling, happens on the one site in Campbeltown. This is unique in Scotland"
state what kind of bourbon casks (in terms of size and filling). That would be nice to know. Anyways, here in Sweden the Springbank "Local Barley" will be available at the state monopoly the day after tomorrow (the 20th of april) and you can view it by clicking here. Ok, lets do some nosing and tasting and see what we have! Big, fat and rich of vanilla-stuff, in fact the nose is very creamy indeed, smells yummie! The peat is definitely evident but in a kind of subdued way, presetin itself kind of like creamy ashes, there is also something ”green” about the peat, in one part sort of sea-ish (wet seaweed/tang) and in the other part something woods-y. The woods-y stuff is the most dominant. In the middle of these two layers (the vanilla/cream and the peat) is some kind of fruit, overripe pear comes to mind along whith some fruity candy, maybe orange colored bassets or swedish peach candy, in fact it’s almost as if this candy (whichever candy it is) has been dipped in white chocolate… nice! That’s a really cool start! It starts off with medium-salt-y peat, the peat is very chewable and more-ish. Instantly when I have swallowed, along comes that peach candy but it transforms very fast into candied lemon. In the early aftertaste a quick buzz of medium strong alcohol, then the peat comes through in the form of creamy ashes. I the late aftertaste everything goes over into some kind of medium burnt vanilla and burnt creamyness. The thing that strikes me with this dram (apart from the fact that it is a very drinkable one) is that the nose is so much more complex than the taste; most of the things going on in this dram happens on the nose and for some reason I had expected it to be the other way around. What I mean by this is firstly that Springbank is usually a quite big and robust whisky indeed (although its 10-15ppm), and secondly given the fact that this particular expression holds 53,1% ABV, could both be expected to result in a quite explosive dram. 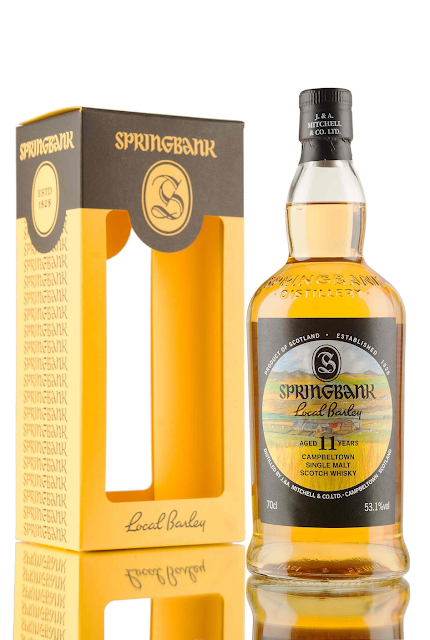 On the other hand, this does not mean that it is a boring whisky, it could mean that the blender at Springbank has deliberatly choosen very creamy casks resulting in a very calm taste. Nontheless, a very drinkable dram and a very interesting experience indeed. Dear friends and followers! 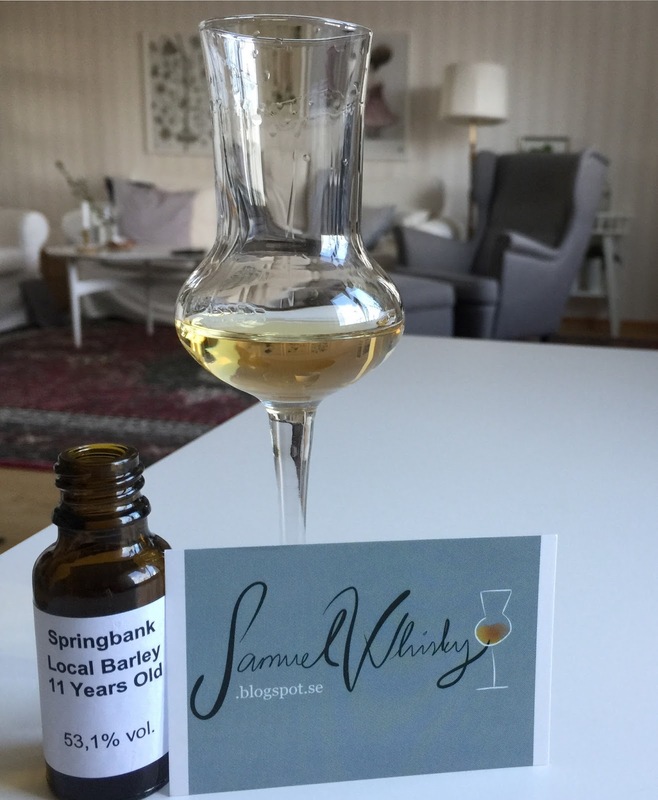 Today I received a sample from the nice people at Box Distillery, so once again it is time for me to share my thoughts on yet another swedish whisky! The sample contains the concluding and third part in their series entitled 2nd Step Collection. The information I have received states that the whisky has been predominantly matured in first fill bourbon casks, in fact 76% of the whisky has been matured in first fill bourbon casks. 19% has been matured in american virgin oak and finally 5% in virgin hungarian oak. The peating level is 38,6 ppm on average. For those of you interested in all the details of this particular bottling, Box Distillery has been kind enough to provide them here. It strikes me now that this is in fact a very mature expression of Box, maybe even the most mature Box I’ve ever tried. There are no traces of yeast or new make going on here, neither on the nose nor on the taste. 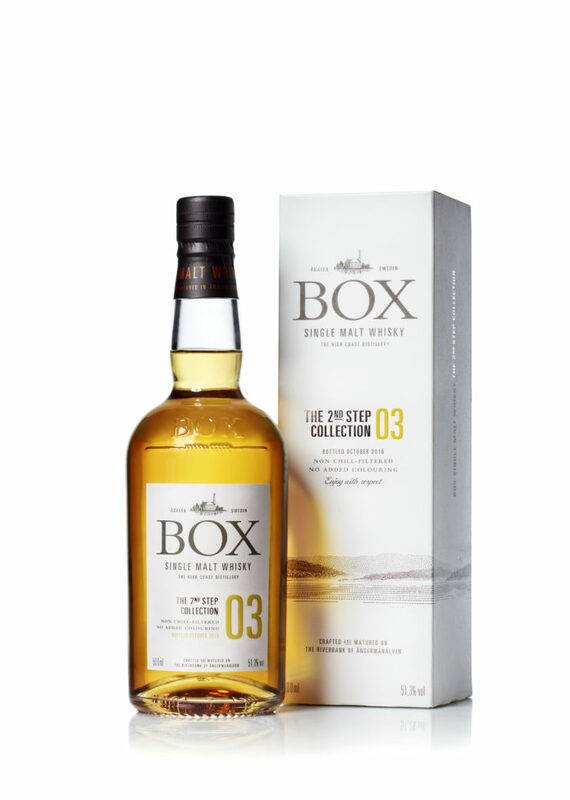 And of course I knew on beforehand that this is the oldest whisky from Box Distillery yet to be released, and that might subconsiously affect my feeling that it’s the most mature Box yet. So let me phrase is another way, this expression and the components that have gone in to it are very, very, very well blended together. Great job fellas!